Get rid of that huge binder (or set of binders) that is filled with your lesson plans and switch over to the digital world. The PPT presentations already saved to your computer can be easily inputed to Nearpod and paired with an assessment. iOS, Android and other devices need to be updated over time. If you have a class set, this may take up A LOT of time. Do it during the summer and free yourself from the hassle during the school year. These class management websites are a great asset to your classroom. Use them to communicate with students, parents and even other teachers. On Edmodo and Google Classroom, you can post class notes, handouts, discussions and much more. 5. Print and laminate your Plickers card set. To use Plickers, all you need is a device (for you) and a card set for your students. If you teach multiple classes, you can use the same set as long as each student receives the same car (they're numbered) each day they are used. Laminating is a great way to preserve the set and get them through the year without having to print new ones. Some parents are still on the fence about technology in the classroom. Use a parent newsletter or add to your syllabus to explain exactly how BYOD works in your classroom. Explain class rules related to devices, consequences and any other information that could help ease some parents. Crafting is a form of therapy for me. So crafting something for my classroom kills two birds with one stone. 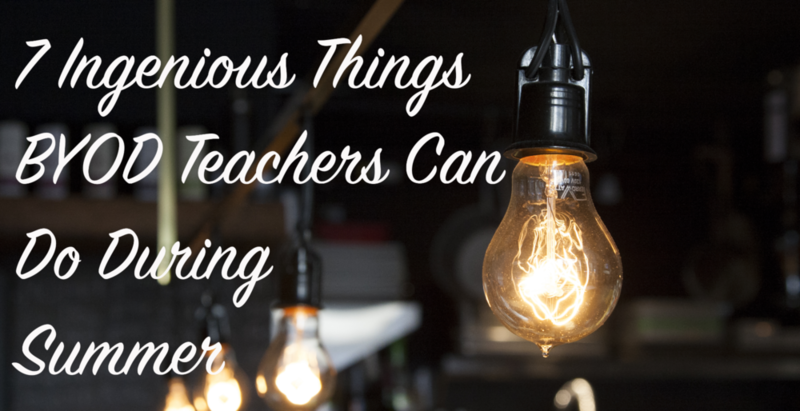 Check out these ideas for some inspiration on what you can make in your classroom.